As part of its capital improvements plan, the City of Rugby performed regular maintenance along with periodic overlays and sealing. However, the street surfaces in the city of 3000 began to deteriorate faster than the planned maintenance and rehabilitation project could remedy. Asphalt overlays were beginning to separate and ravel. Multiple previous overlays were causing excessive street crowns and hampering the ability of the street sweepers to effectively clean the gutters. Additionally, much of the curb and gutter throughout the city was broken and out of grade, impeding drainage. 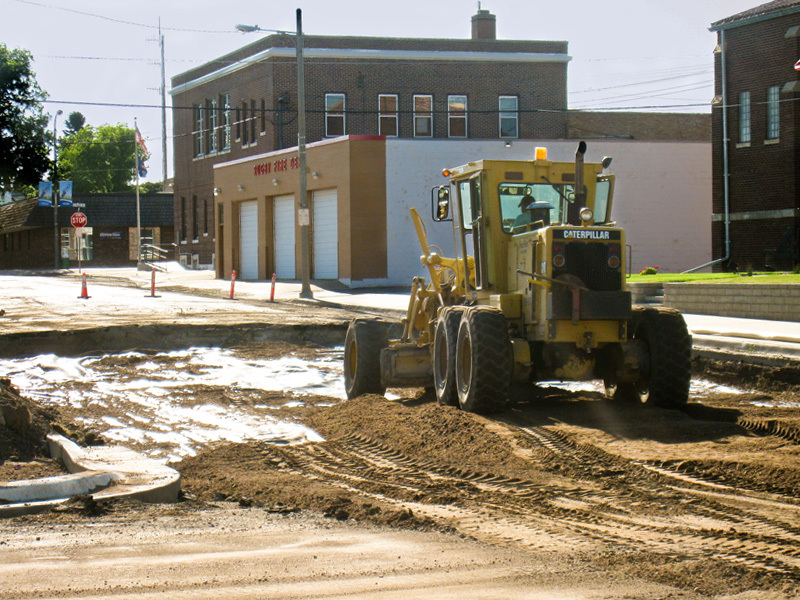 The city needed a plan to salvage its paved surfaces and perform repairs. Rugby turned to AE2S to provide design of the next street project. AE2S suggested taking a step back and performing a comprehensive street assessment and the city leaders agreed. Upon completion of the assessment, the city opted to do a city-wide project rather than a phased implementation to take advantage of the competitive bidding environment and efficiencies of larger scale. Because the project was highly controversial, AE2S conducted three public meetings to inform the public, clear up misconceptions, and gain support for the project. Upon completion of the pavement assessment, the City instructed AE2S to prepare final plans, conduct bidding, and provide construction and warranty phase engineering services. New concrete valley gutters and curbs were placed to improve drainage and rideability. Failed streets were rebuilt from the subgrade to the driving surface. Streets with solid base, but aging surfaces, were milled and overlaid. Other streets received seal coating and crack sealing to increase their longevity. Upon completion of the project, some residents that initially opposed the project commented on their approval with the end result. Drainage improvements have increased the longevity of the streets and eliminated some nuisance areas that previously held standing water. 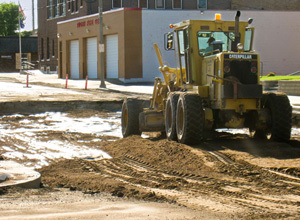 With a maintenance plan provided by AE2S, the city crews are now able keep the streets in good condition with well-planned maintenance at a lower annual cost. The plan also included a guide for the City to use for budgeting funds for maintenance and future improvements.